Having recognized the gender gap in financial services, Raintree Financial Solutions decided to bring women from the industry together for an event on International Women’s Day 2016 with the net-proceeds being donated to a local charity. From our research, we found that women were far less confident about investing and less likely to participate in the financial industry than men. This provided a good opportunity for our organization to start engaging in a new way with women. Our first event that year was a huge hit. We soon realized that there was little going on for International Women’s Day in Canada which provided for a bigger opportunity to engage all people in a celebration of women with an event to promote, develop and celebrate key initiatives for women. A new annual event was born – International Women’s Day Women & Wealth Gala. What at the time was a corporate initiative held by Raintree Financial Solutions, has evolved into a not-for-profit with the same key agenda: to provide a platform for women across the country to share their journey of success and inspire and empower others with their story. Through our International Women’s Day Galas, we bring people together to celebrate the social, educational, economical, and political achievements of female leaders. With this growing movement, we’re focusing on assisting in the #PressforProgress in gender parity. One of the key ways to do this is focusing on inspiration. By inviting women to share their stories of achievement we hope to see further achievements in the future. The other aspect, and we don’t want to lose sight of this, is that International Women’s Day is a celebration, so why not host a party and… celebrate! 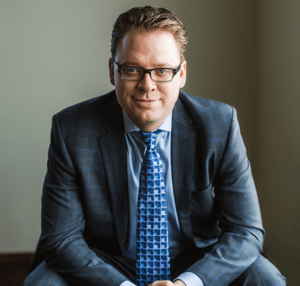 Peter is the CEO of Raintree Capital Inc, a financial services business headquartered in Edmonton. Raintree provides investors access to well thought out investment portfolios and investments through Raintree Wealth Management and Raintree Financial Solutions. Outside of work he spends his time with his wife Kristin and kids Sofia and Cohen. He’s an Edmonton native and is passionate about developing opportunities and leadership for others. What resonates most with him, and the reason he loves being a part of this event, is that he learns something new every year. 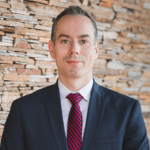 Sean is a Private Wealth Advisor with Raintree Financial Solutions and an owner of Quarry Wealth Management Ltd in Calgary. Working as a Private Wealth Advisor is incredibly fulfilling. The most important thing to Sean is educating clients so that they know what financial options are available. Sean has a wife and two daughters and feels it is important to show leadership around gender equality. Sean has supported the event in Edmonton and has been inspired by the amazing accomplishments of the women who have presented. 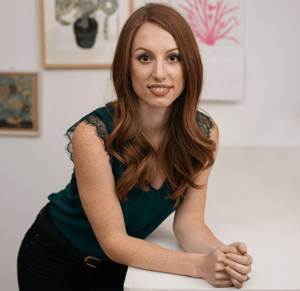 He saw the need for a similar event in Calgary which is why he has become so involved with Women & Wealth Inc.
Hannah Barnes is the Owner and Lead Planner of Hannah Barnes Event Planning & Management. She has been planning the International Women’s Day Women & Wealth Gala since its inception in 2016. What started as a project has turned into a real passion for promoting women’s empowerment and gender equality. Being involved in such an important and inspirational event with amazing guest speakers has been an incredible opportunity.